How Can I Increase My Chances of Winning an Award? What Forms Do I Need to Enter a Competition? Who gets credit for an entry? On the entry form, should I list my company's name or the name of the individuals who worked on the project? If I list individuals, how many of the people who contributed to the project may I include? What is the difference between a contributor and a submitter on the entry form? How do I contact someone if I have other questions? 1 – Why should I enter? All entries receive detailed evaluations from technical communication professionals. This alone is worth the entry fee. 2 – How Can I Increase My Chances of Winning an Award? You increase your chances of winning an award if the judges evaluating your entry have all the information they need to accurately evaluate it. This means that the more complete your entry form and entry description are, the better. We strongly encourage you to provide as much information as you can on the Description of the Competition Entry. To help judges evaluate your entry in context, include screen shots, explanatory text, additional audience descriptions, unusual circumstances or budget restrictions that may have limited your project, and language or localization needs. 3 – What Forms Do I Need to Enter a Competition? 4 – What equipment will the judges use for judging online entries? The platform standards for judging will be as follows. 5 – Who gets credit for an entry? Entries created by employees on official time are considered the property of the employing firm or agency, which may decide who will be credited. A person who performed substantive work on an entry entered by the employing firm or agency or by another person without credit to the first person has no ground for dispute with STC. But, with the permission of the copyright holder, a person may enter the same piece with credit to himself or herself. If either entry wins an award, the other entry will receive the same award. 6 – On the entry form, should I list my company's name or the name of the individuals who worked on the project? If I list individuals, how many of the people who contributed to the project may I include? 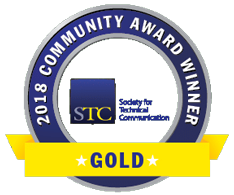 The goal of STC's competition is to give credit and recognition to individuals rather than departments or organizations; hence, STC prefers that individuals be named as contributors. However, because collaborative teams often produce works of technical communication, it is acceptable to cite a department or organization as a contributor. Individual chapter and regional competitions determine the number of contributors they will allow per entry. For our chapter's competition, you may list as many contributers as you like. Use the Additional Contributors form (.doc) provided for the WDCB competition to list additional team members, clients, corporate groups, departments, or other organizations that you want included as contributors. The contributors' names should be as you want them to appear in the award certificate, the awards celebration program, and competition announcements. 7 – What is the difference between a contributor and a submitter on the entry form? Contributors may be writers, editors, artists, photographers, printers, departments, organizations, reviewers, and so forth. A contributor is anyone who contributed to the creation and production of the entry. A submitter (often a superior in the contributors' organization) does not have to be one of the contributors. The submitter does not receive a certificate if an entry wins an award unless the submitter is also a contributor and is listed as one of the three contributors on the entry form. Extra certificates for additional contributors, clients, or corporate copies may be ordered if your entry wins an award. An order form will be included with the award announcement letter. Certifies that the entry represents the actual work of the contributors named on the entry form and that the entry has been cleared for submission. Certifies that the copyright holder permits the submission of the entry. Agrees to receive all official correspondence relating to the entry. Agrees to be responsible for the correct spelling of contributor's names and entry titles, and for distributing any awards. 8 – How will entries be judged? Entries will be judged by a panel of judges, usually two to three technical communication professionals. Judges have the right to question the category of an entry and confer with the Entries Manager/Competition Manager about recategorizing the entry. For details, see the Entry Rules. Each entry is judged on the achievement of its purpose, information design, usability, effective use of media (print or online), and writing. Entries are judged by criteria, not against each other. The judges may choose to make one, several, or no awards at each level in each category. 9 – How will I be notified? All entries are acknowledged. Whether you win an award or not, you will receive the judges' evaluations of your entry. Note: While we strive to provide three judge's evaluations to all entrants, we cannot guarantee that each entry will receive three evaluations. Winners in the local competition will be notified by email 10 February 2019. Award certificates will be presented at the chapter's Competition Awards Celebration Wednesday, 27 March 2019. Winners who cannot attend the Awards Celebration will receive their certificates by mail. 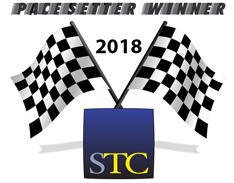 Local and regional chapter competitions plan to list all winners on a page on the STC.ORG website in May. 10 – How do I contact someone if I have other questions? Contact information for the Competition Committee is given on the Competition Contacts page.